My young son had just done something wrong, and I was just about to discipline him. Then I remembered that we had been studying the Fruit of the Spirit during our devotions. to my talk with him. he would not have gotten into trouble. and he was quiet for a few moments. 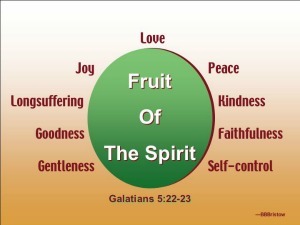 got me thinking about the Fruit of the Spirit. in each of the nine areas. I started feeling down and defeated. So why wasn't I further along? fell out of my mouth. to firmly guard my thoughts against discouragement. with God as a little girl. 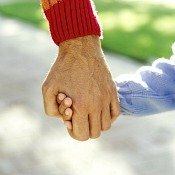 When I was very young, God revealed himself to me as a loving Father in unusual and unique ways. That is one of the special gifts he has given to me. 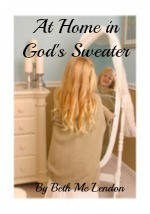 My gift from God was unique - in that I was aware of God at a very early age. And concerning my gift, the good news is that anyone can have this gift. The gift of a close relationship with God is available to everyone. God gives everyone good gifts. He gives everyone special talents and abilities. He gives everyone good experiences. Sometimes I envy the gifts, talents, or experiences that he gives others. Sometimes I look at other people and yearn for something they have. That is a wrong attitude. In fact, “thou shalt not covet” is one of the ten commandments. I have to catch myself and ask the Lord to forgive me for wanting the things of others. 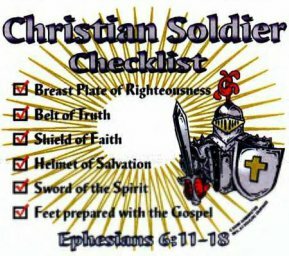 I have found that when I have coveting thoughts, I need to use that same spiritual warfare tactic that I mentioned earlier of redirecting my thoughts to the wonderful things that God has put in my life as blessings. So in response to feeling defeated, I reminded myself that God blessed me with a close relationship with him that started when I was very young. Because of that, I was able to experience God's love and acceptance before I got a lot of bumps and bruises from life. Through my early experiences with God, I felt comfortable with him. I felt accepted, treasured, and adored by God. it comes with a responsibility. comfortable relationship with Father God. I love to help people realize how much God loves them. I love to explain specifics on how to enjoy God's presence. I have not arrived as Mrs. Super-Christian. But I realize that no one has arrived. Part of the warmth of my relationship with God comes from my lack of fear at finding out that I am not perfect in some area. Actually, I feel safe facing the truth that I am not perfect in lots of areas. I see God's conviction as a blessing not as angry condemnation. The enemy of our soul gives us condemnation. He wants us to think that we are worthless. On the other hand, God our Father gives us correction. God is like a much loved teacher who wants to help us get to the next grade level. God wants to be our encourager and our much-loved coach. If you listen carefully to the voice of condemnation, you will realize that it isn't God who is telling you that you are worthless. God tells you that you are worth everything to him. There is nothing more important to God..... than you. God knows the places, in this life, where we can excel.He wants to coach us to a bronze, silver, or maybe even gold medal in those areas. God also knows our weak areas. We will probably never get a gold medal for accomplishments in our weak areas. The good news is that God will help us to get to a place of maturity where our weaknesses won't be holding us back from fulfilling our destiny. I submit to you that we are here to decide if we want a real relationship with God. After that, we are here to love God and grow to be more like God. And God is about love. I remind you that LOVE is the first fruit listed in the nine fruit of the spirit. 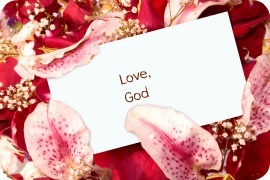 All my life, I have enjoyed the love of God. As I got older, I developed a strong desire to testify to others about the love of God. I want everyone to know that they can have the same type relationship with God that I have - the same warmth, the same acceptance, the same closeness, and the same fun. Every day, God gives us opportunities to draw closer to him. There is no limit to the closeness we can have with him. There is only one condition. You must be saved. You must accept Jesus as your Savior and the Lord of your life. Note that we have a Prayer of Salvation page and an Explaining Salvation page. If you are saved, then you have full rights to a full relationship with God. For those of you who are close to God, I encourage you to take every opportunity to testify to others about God's love. 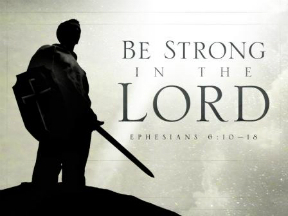 We have all our Bible devotions listed on our Bible devotion page. For a quick jump to the top of Fruit of the Spirit.